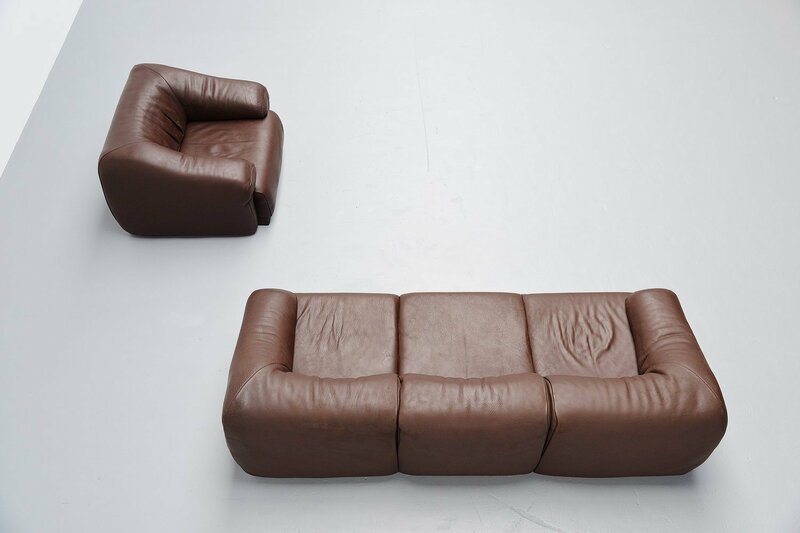 Comfortable lounge set designed and made by De Sede, Switzerland 1970. 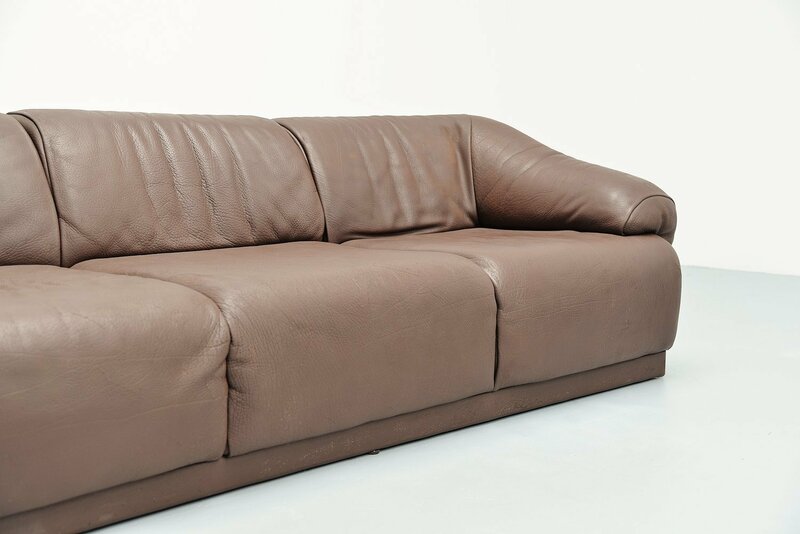 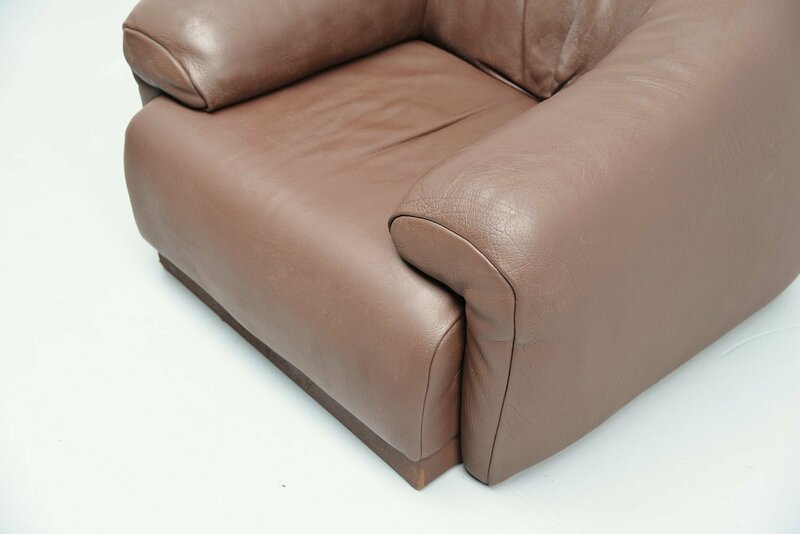 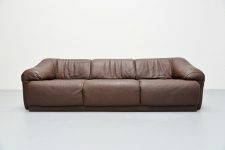 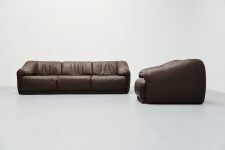 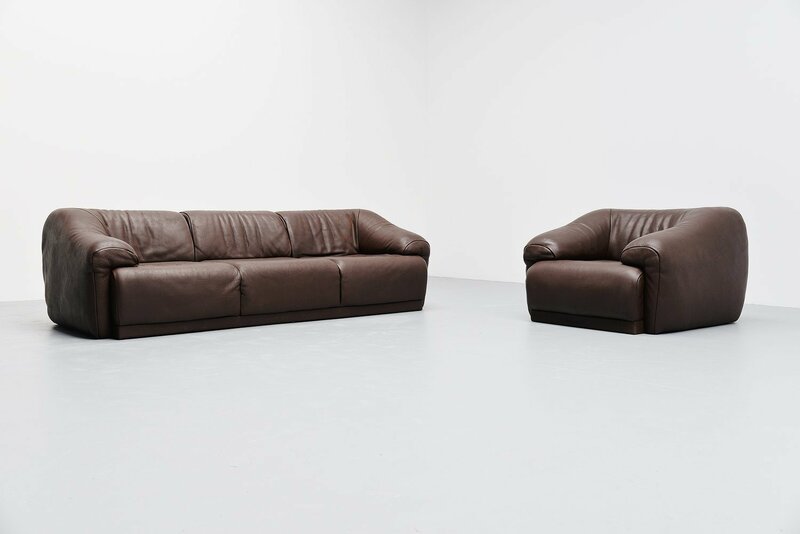 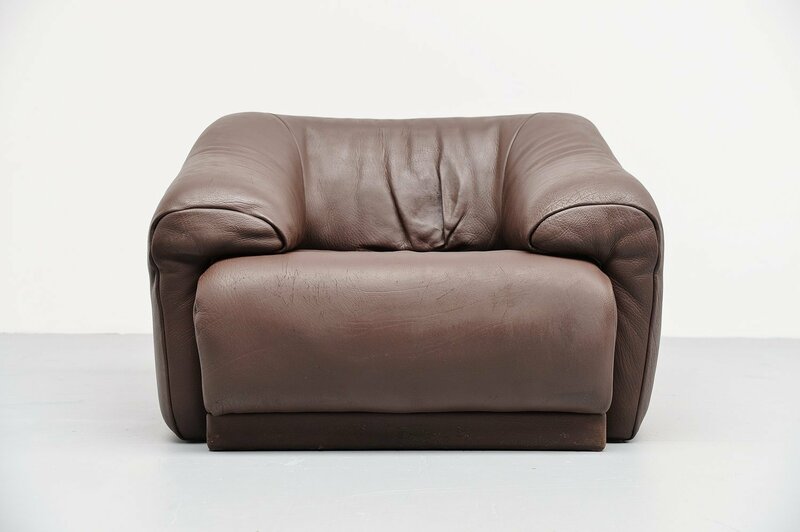 This set contains a 3 seater sofa and a lounge chair. Very comfortable set and completely newly colored so it looks very smooth again. 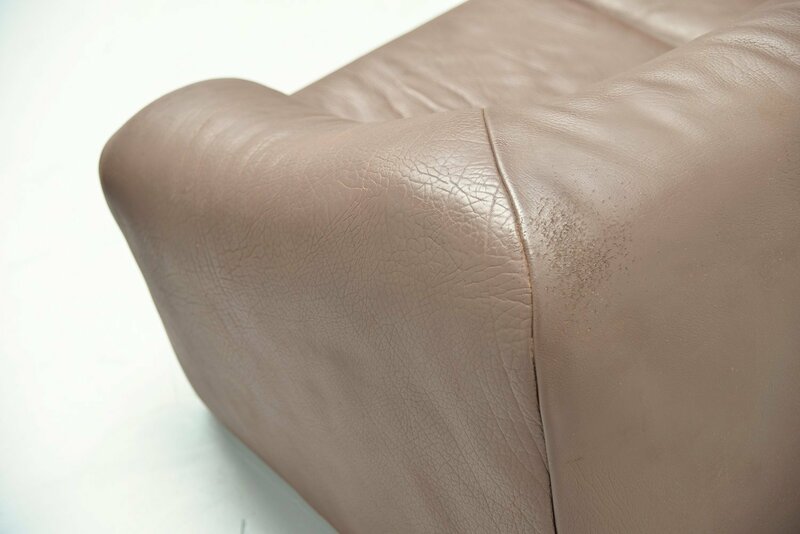 The chair has some marks at the back as you can see on the last picture. Very nice seating set.